1997 Mako 333 Attack I have a beautiful 36 foot 333 Mako attack for sale.Everything on this boat has been updated.New cushions inside the cabin and on the deck.Auto retract trim tabs,Every cable fuel or water line batteries,pumps, oil tanks and everything else is new not refurbished.All new gauges..Killer Fusion stereo and touch screen fish finder/gps also new.This boat belonged to the Marina owner until I bought it 4 months(He re did the entire boat) ago and is in perfect condition.The power heads (250EFIs) are still under warranty and both lower units are new.If you want a big boat for a small price with many years of trouble free use this is it.Bottom paint was applied new in August before a trip over to the Bahama's. Since it was finished it has been to the Bahama's once ,to the sand bar 3 times and out for the air show,and a couple of fishing trips.Although there is no hour meter based on use the motors have less than 60 hours since finished.10 1/2 foot beam makes for a great fishing platform With removable stern seating for the serious fishing days.Heavy and safe boat.Cruise at 25 MPH at 3800 rpms and will top out WOT 33 MPH.Huge fiberglass top,Led lights,extended stern canvas and much much more.All new steering and shift cables.Barn kept at in and out storage unit in Palm City Florida,which would be available for rent if bought local,at a fantastic marina with Stuller service and a very fair price.Fiberglass shines like new. I really hate to sell it ,but Bad knees are stopping me from using her ,and I can't just see letting her sit till I'm fixed.. This is the best deal out there without a doubt.She is wide and heavy and can handle the snotty stuff with ease...Buy a yacht for the price of a run about!I would take a nice clean 19-22 foot center console boat my wife can handle in partial trade.No A/C ,Generator,or trailer. Mako 333 Attack. Twin 275 Mercury Verados. Repowered in 2007. One motor has 486 hrs. the other 546 hrs. Difference is due to charging the house batteries for the new oversized A/C while at the sandbar. 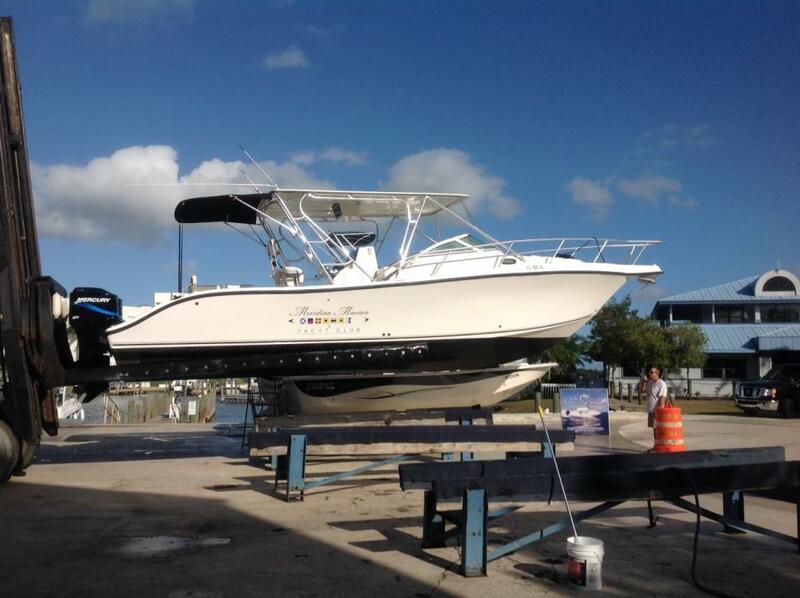 Great family boat for fishing or the sandbar. Huge hardtop providing plenty of shade or to put bean bags on and ride up top. Equipped with Electronics, Air Conditioning, 2 Sleeper Beds, Bathroom, Refrigerator, and more. 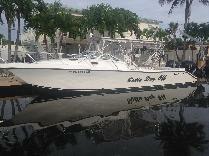 Boat is set up with everything for fishing and family fun. Please call for more information or to work a deal.